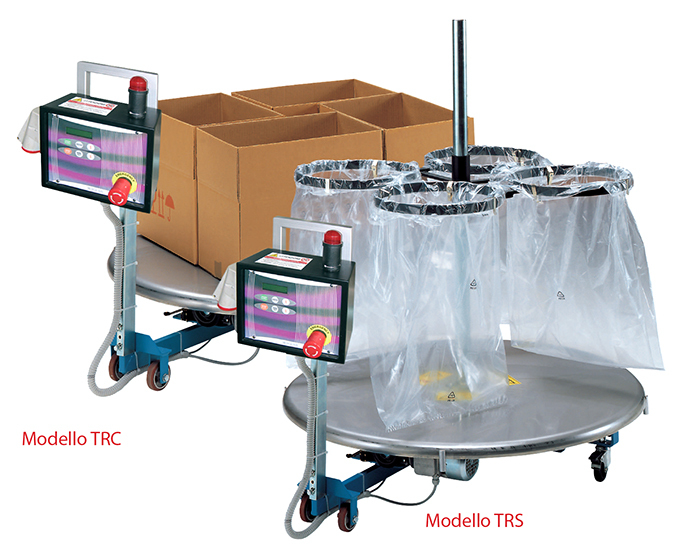 The TRS and TRC series consists of a rotary table suitable to count and store moulded pieces in bags or boxes. The control panel is interfaced with the press so as to count the machine cycles. It is possible to collect moulded pieces in various containers even when the operator is not supervising the operaton. Their structure is made of stainless steel and the frame is equipped with wheels so that they can be easily moved.